Hailey's Wood River High School has a new girls' cross country running head coach. Athletic/activities director John Rade announced the hiring of Heather Miller to the job last Thursday. Miller replaces Shari Kunz, who resigned after the 2010-11 thinclad season. Rade said, "Ms. Miller brings a wealth of cross country coaching and personal running experience from Lansing, N.Y. to Wood River High School. Heather is an avid runner and competitor. "Wood River is very fortunate to get a coach of Ms. Miller's caliber. I am very excited for our cross country student athletes. I'd also like to thank Shari Kunz for all of her time and effort. She qualified many teams and individuals to the Idaho state cross country meet. Shari's positive attitude, abundant energy and passion will be missed by all." Miller, 37, grew in Homer, N.Y., near Cortland, attended college at State University of New York at Geneseo and graduate school at Rhode Island College. She ran track and was also a pentathlete in high school and college. She is a graduate of Lansing High School just north of Ithaca. A gymnast for 18 years while growing up, Miller started long distance running for the first time as a senior in high school. While in college, Miller ran distances while studying abroad in the Netherlands where she ran her first of nine marathons. Her first marathon was the Paris Marathon in 1995. Never running more than 13 miles until she competed in the Paris Marathon, she posted a 3:54 finish time in that event. Miller is currently a triathlete as well as a marathon runner and sprinter. She took second place in the Lansing Triathlon in 2010 and finished in the top 10 in the Scranton (Pa.), Marathon with a time of 3:09. She has run the Boston Marathon twice with a personal record of 3.24:00. She ran the Hailey Turkey Trot this past fall and won first place. As a cross country coach, Miller doubled the athlete participant size of the Lansing (N.Y.) Middle and High School cross country program. She worked eight years as a special education teacher at Lansing. Last July, Miller drove into Ketchum during a cross-country road trip with a kayak and bike attached to her vehicle. She decided she wanted to live here and moved here last August. Currently, she is director of the Zenergy Kids Camp. 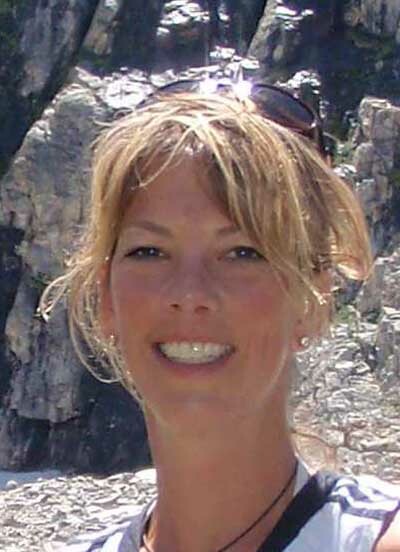 Besides running and outdoor activities, Heather loves to kayak, bike, hike, fish, ski and snowshoe. She has been a teacher for 12 years and continues to tutor privately and work in the school system. In the June 4 Sun Valley Half Marathon, Miller placed fourth among 167 women at the 13.1-mile distance with a time of 1.40:06, good for first place in the Women's 35-39 age class.